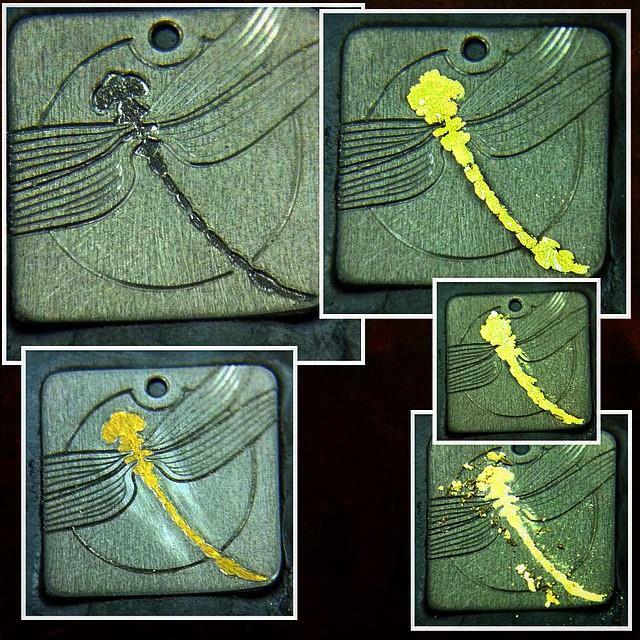 Clockwise from top left – excavating the pocket/undercutting the edges/heavy stippling in the bottom; putting in gold wire; scraping off the excess gold; inlaid gold stoned smooth. Next, relieve and stipple the background. 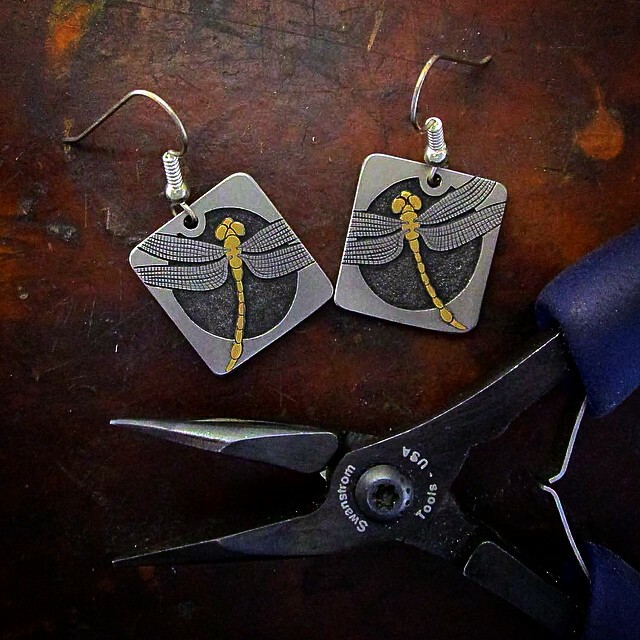 The earrings are finished. 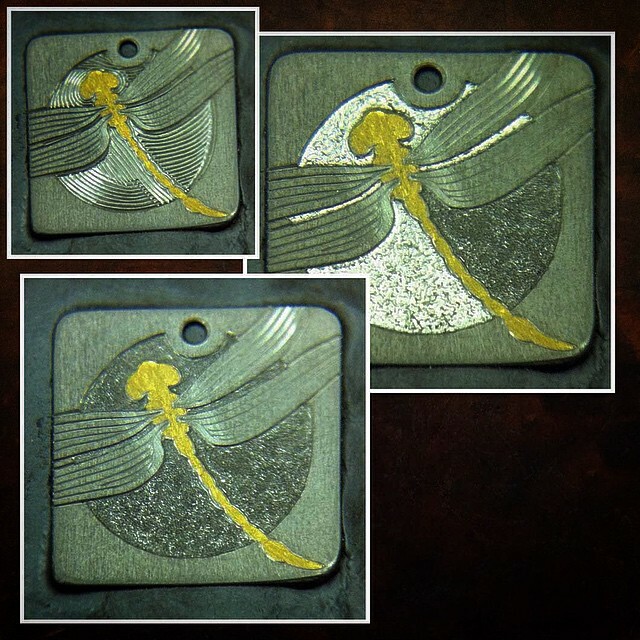 They are a shade smaller than 3/4 of an inch square, hand engraved in CP titanium and 24 karat gold. 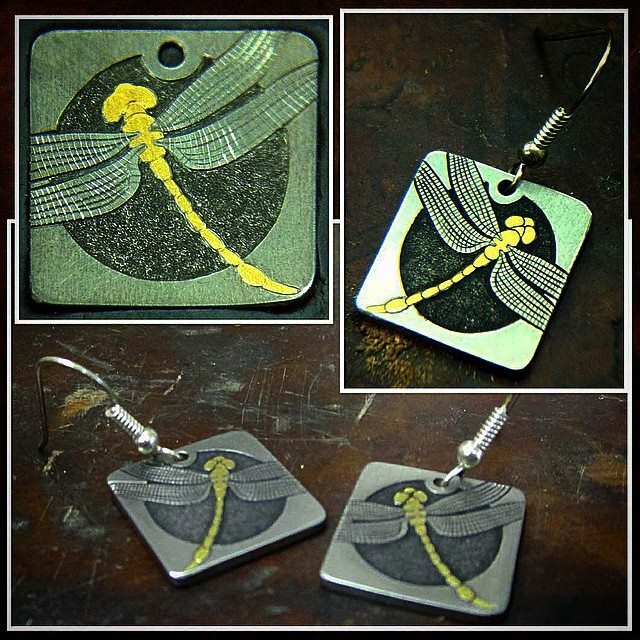 Another view of the earrings. 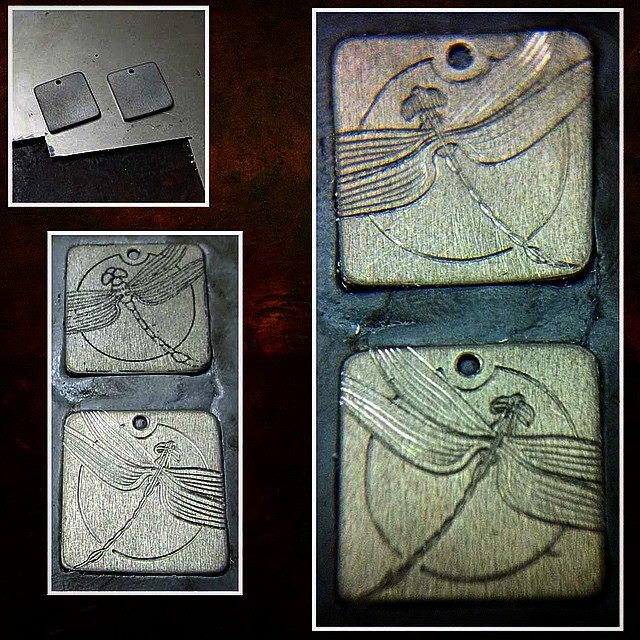 This entry was posted in Jewelry and tagged engraved, engraving, fabricated, fabrication. Bookmark the permalink.